Le Lapérouse will guide you to some of the most picturesque parts of the region – the Hunter River, King George River and the majestic Twin Falls. Admire the Montgomery Reef, home to vast expanses of lagoons and immense coral reefs. Visit the Buccaneer Archipelago, whose coast is one of the most spectacular in the entire region. The wild lands of Kimberley are the promise of an exceptional adventure. Day 1. Darwin, Northern Territory. Australia. Darwin is the largest city in the sparsely populated Northern Territory. Le Lapérouse will be alongside the wharf at the Darwin Cruise ship terminal located at Fort Hill Wharf. Embarkation is between 2pm and 3pm. The ship is scheduled to depart at 4pm. Day 2. At Sea (Pulau Meatimiarang, Indonesia). Enjoy a leisurely day at sea to meet your fellow travellers, take advantage of the luxurious on board services or enjoy a cool drink at the Pool Bar. Today your expedition team will prepare you for your exploration of Australia’s remote Kimberley Coast. The Kimberley is one of the world’s last great wilderness areas, and one of Australia’s greatest natural assets. Day 3. Wyndham, East Kimberley, Western Australia. Wyndham is the northernmost town in Western Australia and in many ways is the gateway to the Kimberley. It is surrounded by some of the most spectacular landforms, rivers and wetlands in the Kimberley. A day exploring El Questro station including Emma gorge and Zebedee springs. Days 4 – 10. Exploring the Kimberley Coast, Western Australia. The Ancient landscape of the Kimberley coast is continually shaped by the second largest tidal range in the world. To take advantage of this natural phenomenon we have created a flexible itinerary. Our Kimberley voyages are true expeditions, where each day’s activities will be determined by the Expedition Leader and Captain taking into account the tide, weather and sea conditions. King George River and Falls. Kimberley, Western Australia. The journey up the King George River is nothing short of breathtaking. The 80m high sides of the gorge display varying degrees of weathering of the ancient Warton sandstone. The journey culminates at the King George twin falls; the highest single-drop falls in the whole of the Kimberley (80m or 260ft). Jar Island, Vansittart Bay. Kimberley, Western Australia. Jar Island contains ancient rock art galleries depicting the Gwion Gwion style unique to the Kimberley region. It is generally thought that this art may extend back to over 30,000 years BP & represent the first wave of seagoing colonisers of the Australian continent. As it is, these are the oldest detailed depiction of human figures in the world. Anjo Peninsula, Vansittart Bay. Kimberley, Western Australia. Vansittart Bay is a small remote bay of about 30km2, synonymous with Truscott air base that was operational during the very end of the Second World War. Just behind the sand dunes on the western side of the Anjo peninsula lies the remarkably intact remains of a World War II aircraft that made a forced landing into the scrub in late February 1942. Prince Frederick Harbour (Hunter River). Kimberley, Western Australia. 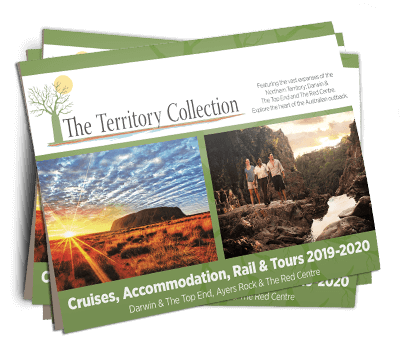 Arguably one of the most scenic parts of the Kimberley coast, Prince Frederick Harbour and the Hunter River are lined with ancient rainforest pockets, pristine mangroves and mosaic sandstone cliffs. They are considered to be some of the most pristine mangrove forests in the world, containing up to 18 different species, supporting a rich and diverse fauna. Mitchell Falls and Plateau. Kimberley, Western Australia. The Mitchell Plateau is one of the most scenic & biologically important areas of Australia. The Mitchell River carves gorges and waterfalls into the underlying sandstone, particularly along the margins of the Mitchell Plateau. The most scenic of all is the four tiered Mitchell falls that flow continuously throughout the year. Freshwater Cove. Kimberley, Western Australia. Wijingarra Bard Bard (Freshwater Cove), is a special place to the Worrorra people and provides a unique opportunity for visitors to hear the stories of the Lalai (creation) and gain an understanding of how country and culture intertwine in this beautiful landscape. Montgomery Reef. Kimberley, Western Australia. The tidal movements in the Kimberley are nothing short of massive, in fact the Kimberley has the third largest tidal range of anywhere on the planet. Montgomery Reef is a spectacular example of the impact of these tides as the entire reef appears to rise from the ocean. At just under 400km2 in size it is Australia’s largest inshore reef, containing large areas of shallow lagoon, seagrass beds and corals. Ngumbri (Raft Point). Kimberley, Western Australia. ‘Ngumbri’ is the site of the most spectacular Wandjina gallery on the Kimberley coast. The Worrorra, Wunambal, and Ngarinyin people say that the Wandjina are the creator beings of the Dreaming, and that they made their world and all that it contains. Horizontal Falls, Talbot Bay. Kimberley, Western Australia. Described by Sir David Attenborough as “One of the greatest wonders of the natural world” the “Horizontal Waterfalls” are an iconic location and one of the premier tourist attractions of the West Kimberley. With massive tidal differences of up to 10.8m on a spring tide, the “Horizontal Waterfalls” are created as seawater builds up faster on one side of the gaps than the other, creating a waterfall up to 4m high on a King tide. The Lacepede Islands. Kimberley, Western Australia. The Lacepede Islands are Western Australia’s most important breeding habitat for Green Turtles (Chelonia mydas), and have been named by BirdLife International as an Important Bird Area (IBA). The breeding colony of Brown Boobies is possibly the largest in the world. Up to 20,000 Roseate Terns have also been recorded here. Often referred to as the pearl of North West Australia, Broome is Western Australia’s coastal gateway to the magnificent wilderness region of the Kimberley. Le Lapérouse will be alongside the wharf in Broome and disembarkation will commence shortly after breakfast.